After many attempts of trial and error basis, some points do get remained for making "Fan Page" a success. The success of course depends upon the number of likes, posts made by members, frequency of engaging fans, the type of content, etc. The success is descriptive. Content matters the most in any case whether it is a website or a blog or a fan page or even a status update that you make every day in your Facebook wall. If the content is interesting and engaging, people do come and read and wait for more updates from your side. Sometimes, if the content is most alluring, then some fans do "Bookmark" your fan page to know more about your pages. This all comes with experience and mainly the different techniques to make it a success. When you start any business, your first intention is not to earn money but to earn people. The fan pages have to be created "for the fans" and not for your purpose. Success will follow when more and more people visit your page for more interesting information. It may happen sometimes that even after many attempts, the fan pages don't accelerate as needed and the result happens to be a big "FAIL". This point is not for getting frustrated but to think more about how to bring more traffic to your fan page. For that some sort of "SEO" also is needed. This post mainly depends on this that "How to do SEO of Business Fan page"? Bringing all things in to my mind, I have made a list of 15 points for you to get through and enjoy a successful fan page. Keywords in Fan Page URL: Have you noticed that the URL of your fan page is based on the proper keywords ? If not then this is the first and important point that has to be noted and changed accordingly. In Facebook, once you get 25 likes means fans, it gives you the opportunity to change the user name or also called as Facebook vanity URL. Keywords in description of fan page : Same like URL . The keywords that are placed in every important bit of fan page brings Google crawlers to index the page and in turn bring to the first page of search results. Because ultimately the main intention is to get more visitors. And this is possible if the page is optimized well. Optimization in Fan Page status updates : When you are posting new stuff on the wall of the fan page, use the right kind of keywords with other optimization tips like image tags for images, video tags for videos and other. About box : This is the most important place where visitors will get the required information they are looking for. Optimization here is also needed. Limit the content : This may sound absurd but the visitors can read the full content on your website. So just provide some useful information and insert the link of your site. People will read there. Hence don't fall into the content trap. Photos: Look whether the images and photos that you have uploaded on your fan page are really optimized with keywords or not. If not then get it done immediately. If needed include the link in the caption area of a photo. 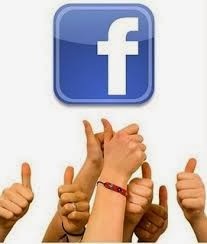 Insert the "Like Box" widget on website: The widget plays an important role in getting visitors to your fan page. Know more about "Inserting a Like Box widget or Fan Page widget"
Make use of "Trending Now" feature : Recently Facebook has launched this feature called as "Trending Now" which displays the latest trending topics across the world on your Facebook wall or screen. Whenever there is a post or news that relates to your fan page then you can put your link there. Arrange "Events": The interaction with fans will make more fans engage in your topic. One will bring their friends and they will bring their friends to your events. Create "Quiz": Again like "Events" , Quizzes also make them engage in your fan page. Link your Twitter Profile :Your Twitter followers and fan page fans are different. To add your followers to fan page you can link your Twitter account to your Facebook fan page. These were some of the points that every page owner should keep in mind while creating or promoting a fan page. Because after all you are creating fan page for viewers and not for your own self. In the recent time Social media has become one of the biggest marketing tools especially Facebook and Twitter. Every business use Facebook to either market their business marketing and promotion through pages like fan page or even advertise with Facebook. Having billion of users and growing that makes Facebook a wonderful free marketing platform, this can be beneficial if one could buy Facebook fans.